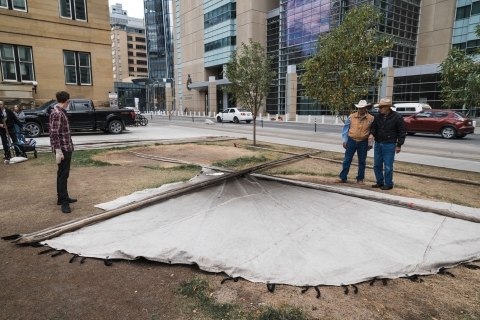 Some 2,000 years after the Blackfoot people first inhabited the Calgary area, one of their descendants has set up a Mohkinstsis Camp in the Calgary downtown, right next to the largest court facility in Canada. The modern history of Calgary begins in the 19th century when John Glenn became the first European to settle in Calgary in 1873, but the earliest evidence of indigenous people occupation in Calgary goes back some 11,000 years when the Canadian Shield receded from the valley of the Bow River at the end of last ice age. 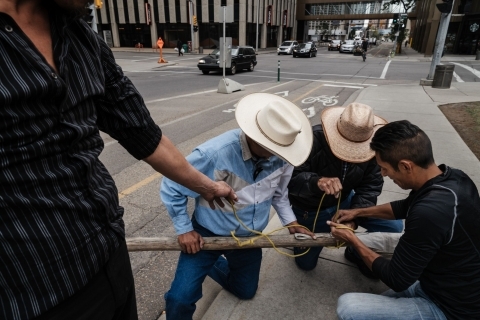 Since then, different indigenous groups have occupied the land, the last of them being the Blackfoot people who have inhabited the Calgary area for thousands of years. They consider it as their traditional Blackfoot territory which stretched beyond Red Deer in the north and went as far south as northern Montana. The Blackfoot people refer to Calgary as Mohkintsis which translates to Elbow in the River—the geographical description of the bend in the Bow River that flows through Calgary. 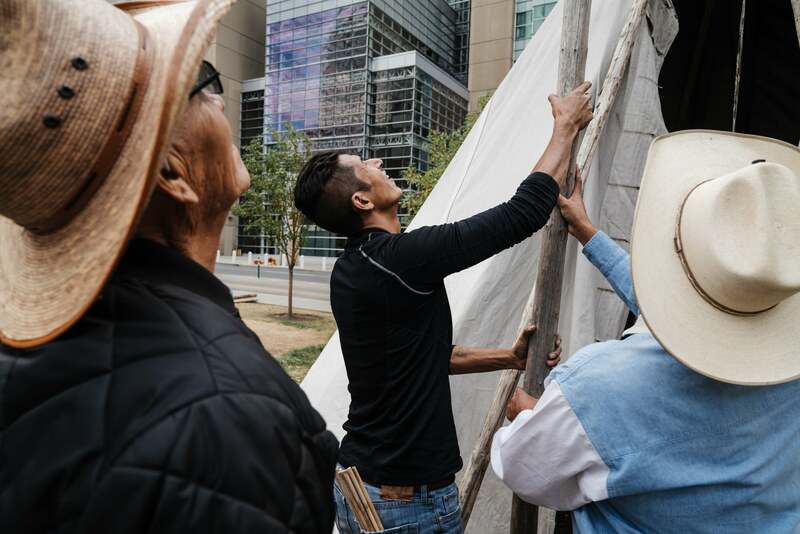 Now 2,000 years after the Blackfoot people first inhabited the area, one of their descendants has set up a Mohkintsis Camp in the Calgary downtown—two traditional tipis and a rectangular tent standing tall next to the 26-floor Calgary’s courthouse building, the largest court facility in Canada. It’s late Saturday afternoon on September 1, 2018. Kids play around and make soap bubbles near the Mohkintsis camp while Garret C. Smith helps his elders in re-raising a tipi in the Courthouse Park. Garret (33) is from Piikani Nation, a part of the Blackfoot Confederacy located two hours south of Calgary, Alberta, Canada. His Blackfoot traditional name is Iinooks’kinii which translates to Buffalo Curly Head. He is an actor by profession. He trained for 3 years in Toronto where he went to Indigenous Theatre school. After that, he acted for about six years before quitting this career to pursue social activism. Garret, the founder of the Mohkintsis Camp. Mohkinstsis camp started out as a protest camp in late February 2018. 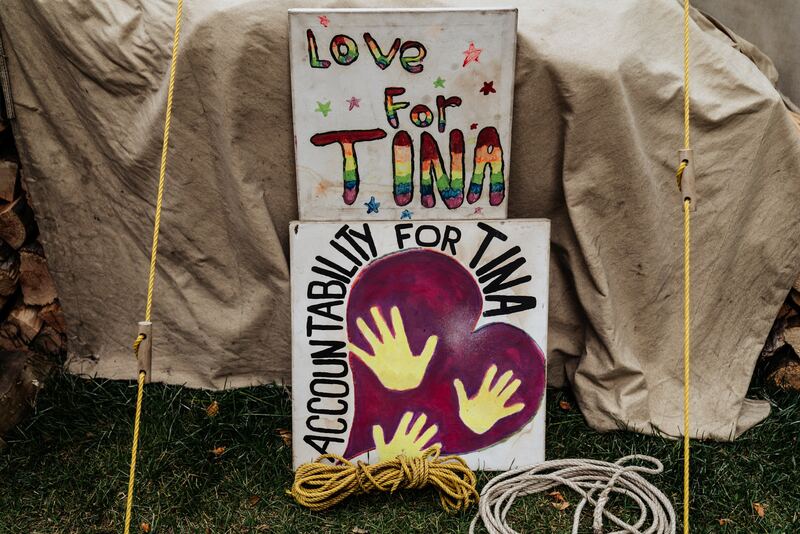 A young woman had set up a camp in Winnipeg in protest of the murdered 15-year old aboriginal girl Tina Fountaine whose murder had been acquitted. 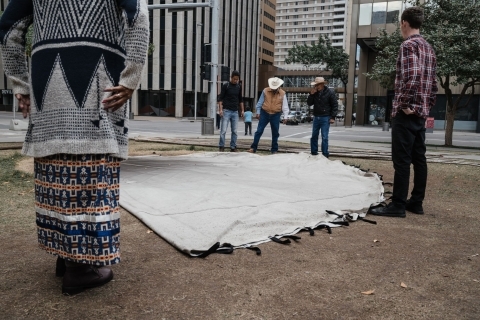 Three days later, Garret and his friends set up a camp in Calgary in solidarity with her. The goal of the camp was to show the resolve against the injustices that the indigenous people were experiencing and to give voice to them. An RCMP report compiled in May estimated 1200 cases of murdered and missing aboriginal women in Canada over the past 30 years. 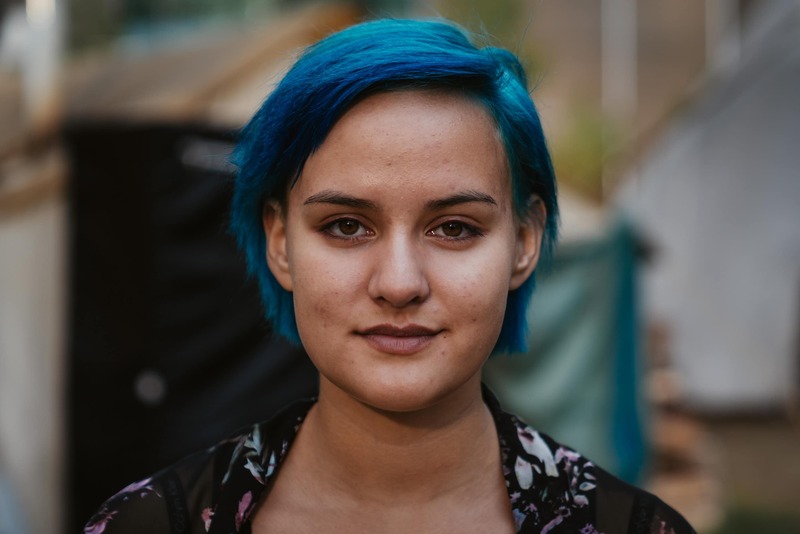 Statistics show that indigenous females are three to four times more vulnerable to victimisation than non-indigenous females are. It is a critical issue for the indigenous communities in Canada and has been described as a Canadian national crisis. 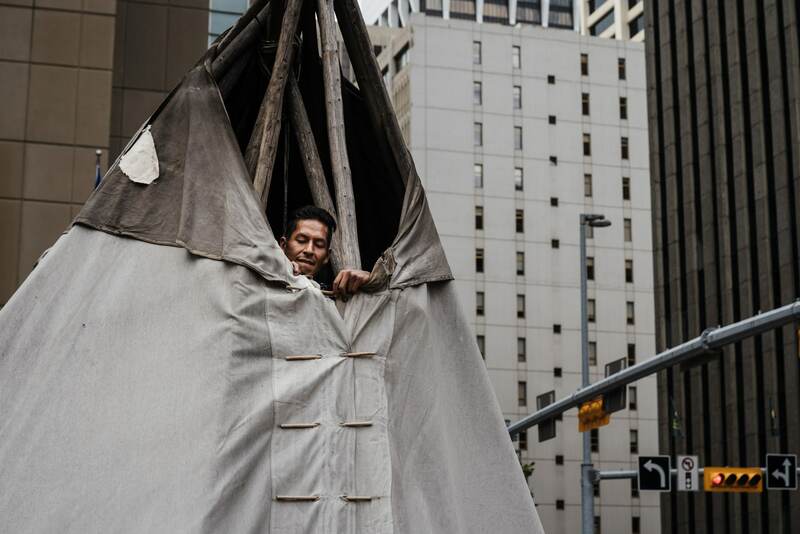 The protest camps in Winnipeg and Calgary went on for about a week. 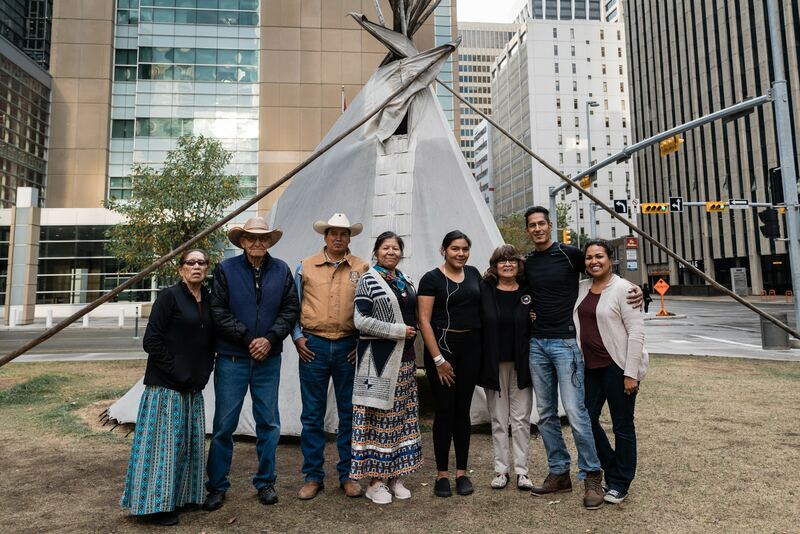 The young woman in Winnipeg took down her camp and Garret and his friends took down their camp in Calgary as well in solidarity with her. 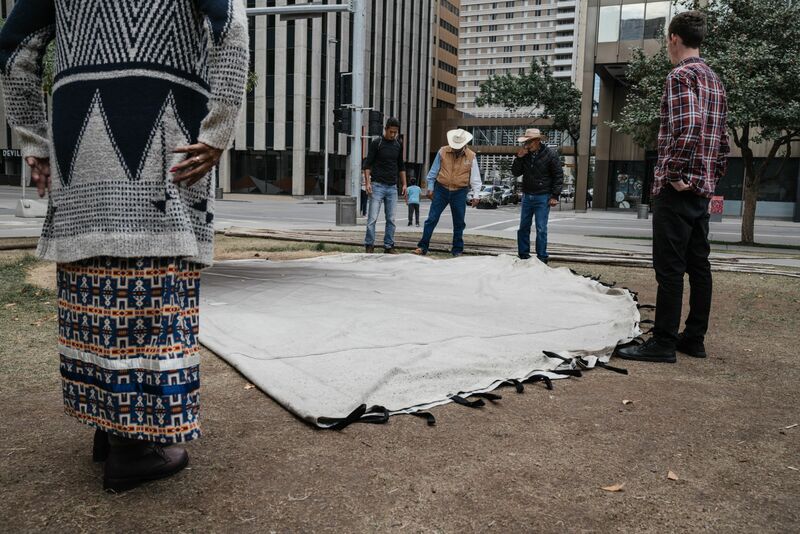 Later, Garret re-raised the camp on March 11, not as a protest camp but as a healing camp to provide a service that the city’s infrastructure doesn’t provide. 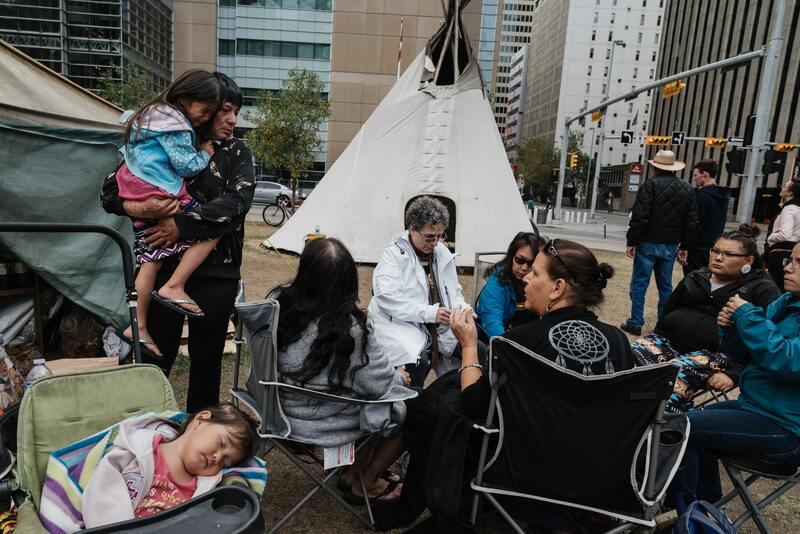 “There are well over four hundred churches here in the Calgary, multiple synagogues, mosques and temples but nothing for the First Nations people here. 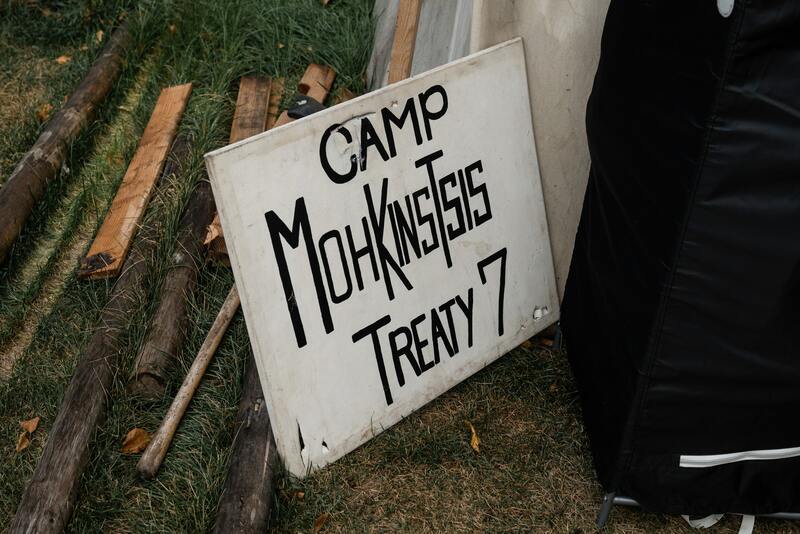 Mohkintsis camp offers a space for healing and works towards building a community with native people involved,” Garret said. “Does the Canadian law treat indigenous people differently?” I asked Garret. It is, however, pertinent to say that there are no longer disadvantages attached to Aboriginal status within the Canadian law. Earlier, aboriginal people were not even allowed to vote or leave their reserve without a permit. The residential school system was established in Canada for integrating the indigenous population into the Canadian culture. The indigenous children were forcibly removed from their families and sent to residential schools which deprived children of their ancestral culture and prohibited the use of aboriginal languages. 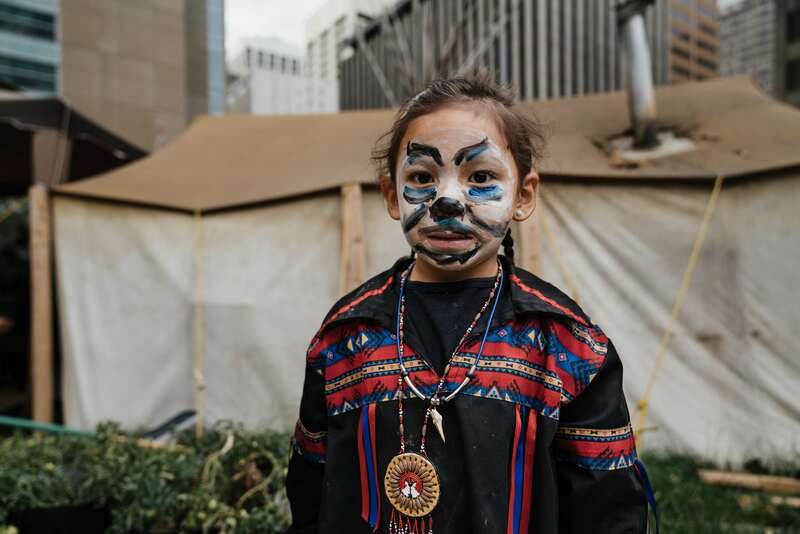 The children were forced to speak English or French, and as a result, were unable to fit into either indigenous or Canadian society due to disconnectedness from both cultures. Thousands of children suffered from physical and sexual abuse. Approximately 6,000 of them died in the residential schools. The residential school system lasted for 100 years with the last federally operated school shutting down in 1996. However, the damage was already done and the impacts were passed on from generation to generation. The individuals suffered from post-traumatic stress which led to alcohol addiction and suicide, while the community suffered from the loss of tradition and togetherness. Many indigenous communities call the residential school system as the attempted cultural genocide. The residential school system is now over, but today there is a huge overrepresentation of indigenous children in the child foster system. 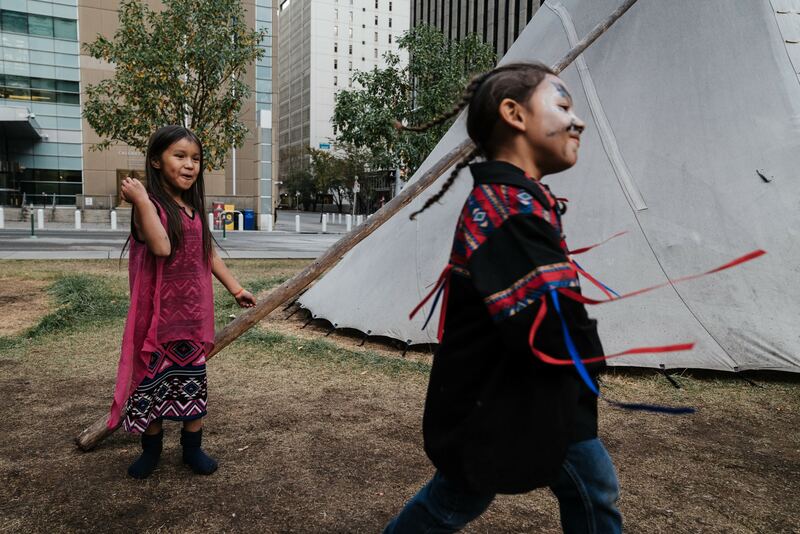 In 2016, indigenous children made up of 52% foster children younger than in Canada, despite making only 8% of the age group. 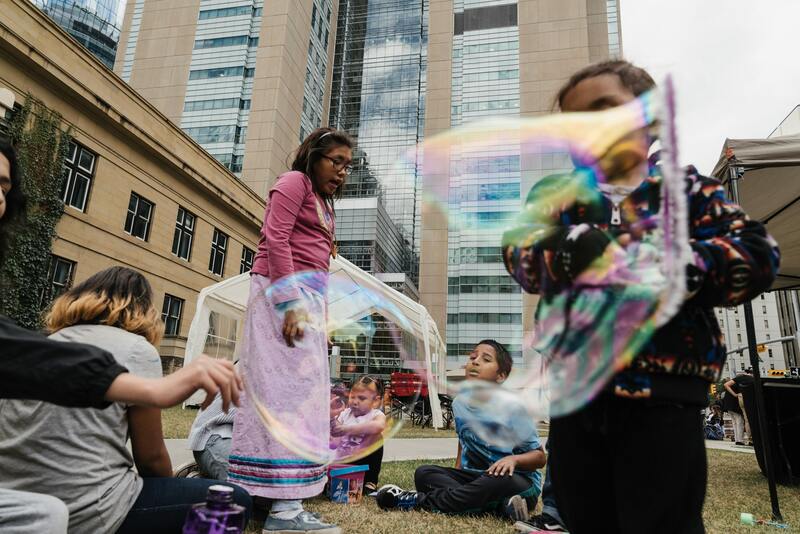 Indigenous advocates fear that the foster care system has become “the next generation of residential schools.” Many children are taken away from their families for the reason of poverty. Despite this, Garret believes that things are going in the right direction. 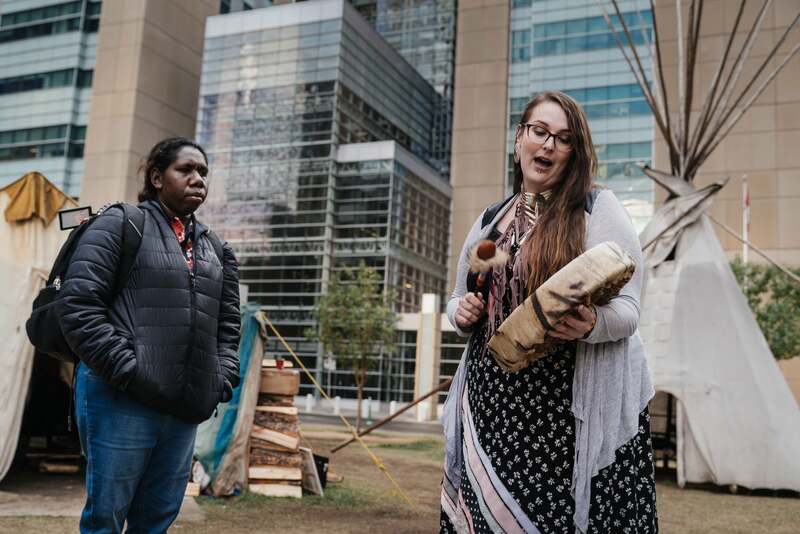 At the camp, Kida sings a traditional song for the aboriginal Australian guests and I quickly grab a couple of shots of them before they leave. 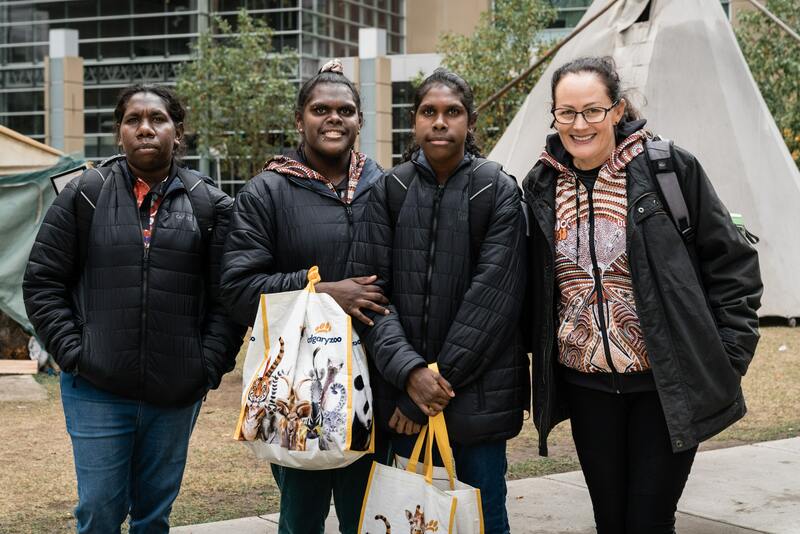 Aboriginal Australian females with the police officer who started the school attendance initiative for girls. 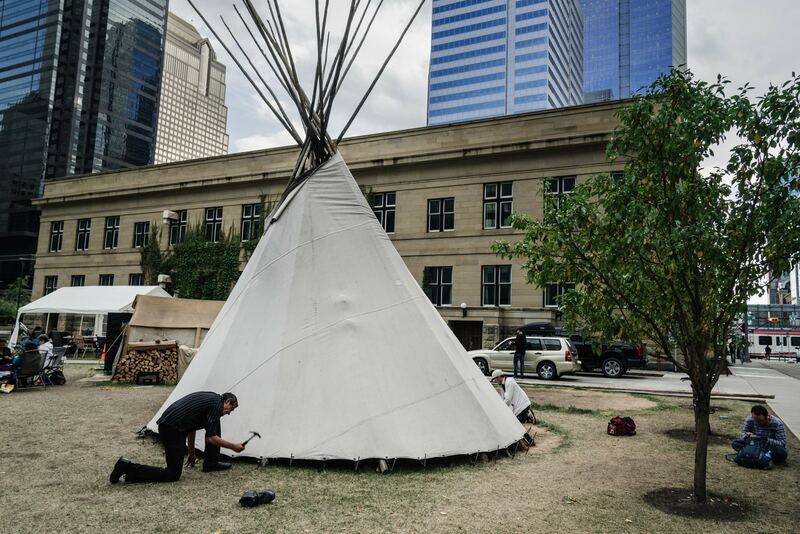 The elders have finished setting up the tipi and we are invited into the tipi for a blessing ceremony. The use of cameras and cell phones is strictly prohibited. Everyone sits in a circle. Women sit on the left side, men on the right, and Garret’s dad and granddad in the middle. 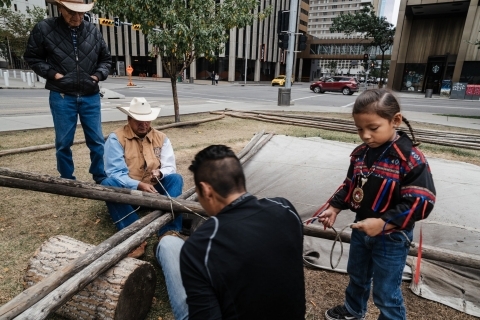 His granddad starts the ceremony and lights up a medicine pipe which is passed on from one person to another. Everyone smokes the pipe respectfully, touches it with both sides of the shoulder and with the heart for a blessing. Later, the elders sing and drum traditional Blackfoot songs. 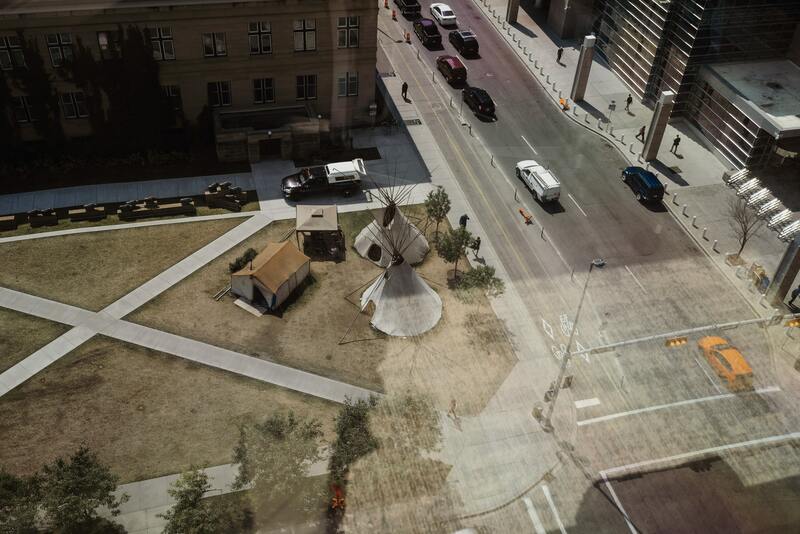 They honour the Blackfoot, other native tribes and ethnic groups in Calgary and bless the ground and the camp. One of the songs they sing is the Pipe Song. Meanwhile, it starts raining and hailing. Drops of water and ice come down through the top opening of the tipi. It reminds me of the Blackfoot Thunder Pipe story I recently read in a book. Long ago, the Thunder stole a man’s wife. The man travelled a long distance in search of his wife but couldn’t find her. On the way, he asked all kinds of animals where the Thunder lived but no one could answer out of the fear. At last, he meets the Raven who gives him a raven’s wing and an arrow which would protect the man. The man went to the lodge of the Thunder and asked him to return his wife. The man pointed the raven’s wing at the Thunder and shot an arrow through the lodge of the stone. The Thunders surrendered and returned man’s wife. Before the man left, the Thunder gave him a pipe with strong powers and told him, “fill this pipe and light it, and you shall smoke it and pray to me; you and your people. It will bring rain which makes the berries large and ripe and all things grow.” Thus the people got their first medicine pipe. Isn’t it incredible that while we smoke the medicine pipe and the elders are singing the pipe song, it starts raining? “Nature is blessing us our camp with rain. It is washing away all the negative energy,” Garret’s dad says. 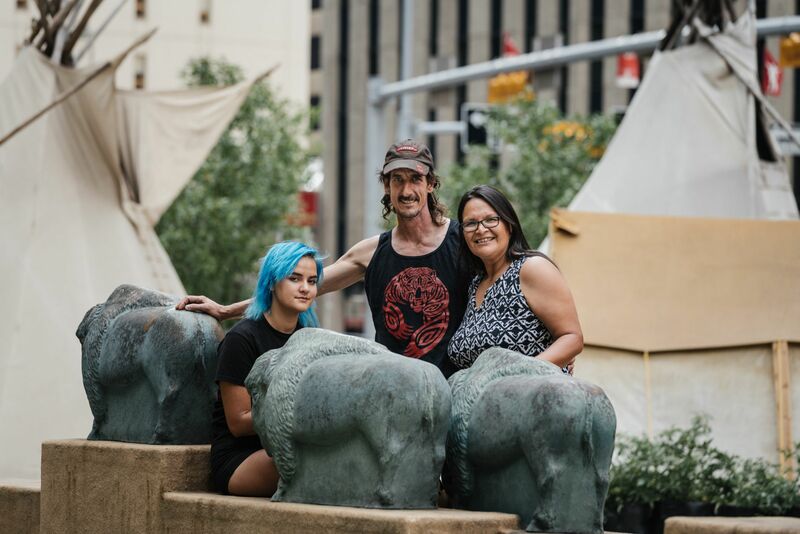 When I first visited the camp I met Deborah (Debi) who belongs to the Cree First Nation, her husband Norm, and their daughter Kirstin with blue hair. Debi had set up a tipi here to show support for Garret’s effort. 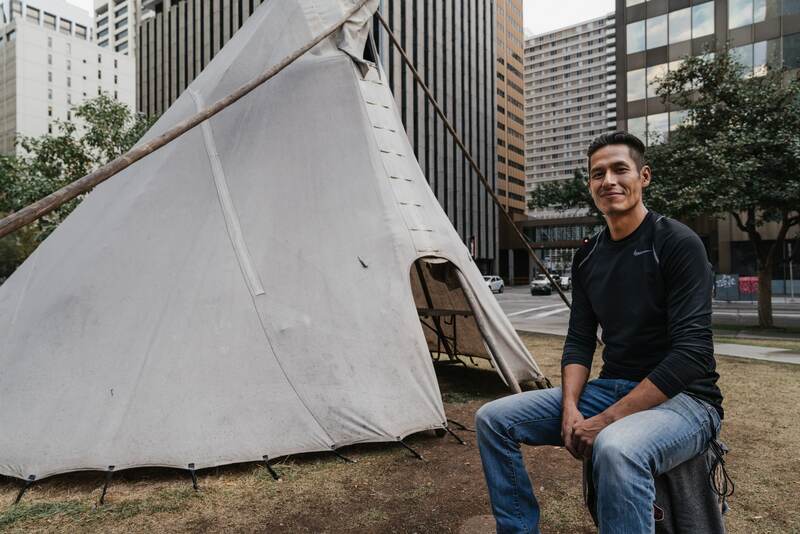 “Garret allowed me to set up a tipi in camp Mohkinstsis and for that, I have always felt very honoured. Our ancestors must look down and smile that we are able to call one another family. I am Garret’s aunt now. He’s my Niitsitapi nephew and I am very happy in my heart to be able to say that. Garret’s father prayed one cold winter night and the strength of Chief Bullhead always seems present to me,” Debi says. “What is the ultimate goal of this camp?” I ask Garret. The kids jump around and play hide and seek behind the camp which is overlooked by tall buildings from all sides. Garret shares his point of view of life. Garret (second from right) with his family. Previous Post Being Alpha—On Photography And Purpose Of Life! Pictures are beautiful.. are you going to cycle during coming winter in Canada. or taking rest.. Thanks, I will be back on the road in a day or two. 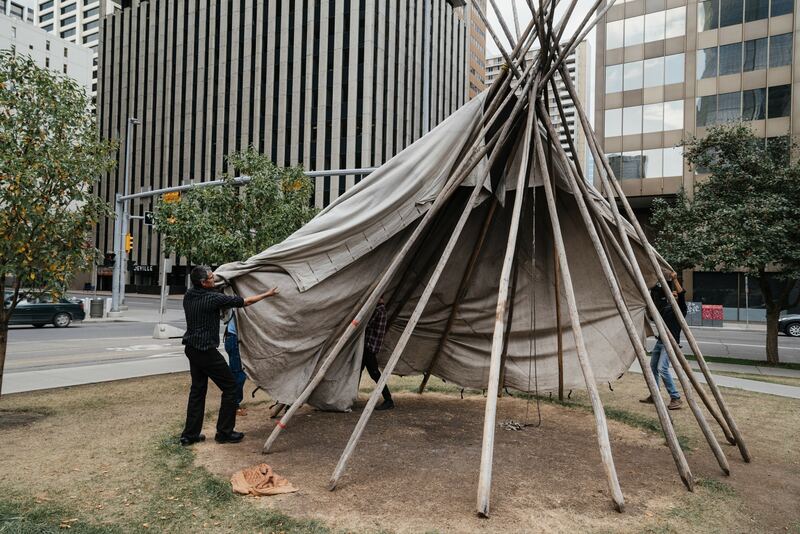 Remember the elders who set up the tipi said no pictures of the tipi setup they are for personal use only. Hello my friend, beautiful pictures! One correction though, the “lady” singing the song is me. I am in fact two spirit and am not a woman. When moving in indigenous circles please be aware that gender works differently in our cultures. Thanks for correction. I have changed it. Beautiful and thought provoking article. Surprised to read all this. Keep it up sir. Good work. It’s not easy covering a topic from a community you are not part of so appreciate your effort. Can feel your good intentions from reading it. Excuse me, but the “lady” singing the song is me, and I am two spirit, not a woman at all. Please don’t misgender me. And why is my comment gone?